Offering you a complete choice of products which include shut off valve, needle valve and check valves. 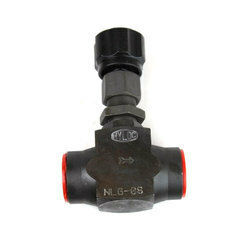 Valve Size 1/4" TO 1.1/2"
Shut off valve model SLG, SLWG are two way, seat type valves. These are used for isolating the oil flow in the direction as indicated by an arrow mark shown on the valve body. Needle valve model NL, NLW are two way, seat type valves. These are used for isolating the oil flow in the direction as indicated by an arrow mark shown on the valve body. Poppet type valves. Allows free flow from port A to B and offer leakage free closure in opposite direction. 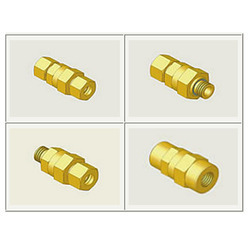 Four basic models : RHD, RHZ, RHV and RHF Seven standard sizes : NG 06, NG 08, NG 10, NG 15, NG 20, NG 25, NG 30 Four cracking pressure : 0.5, 1.5, 3 and 5 bar. Looking for HYLOC VALVES ?